Walter Frank Larson (97) was born July 5, 1918 in Harmon, North Dakota and peacefully passed away April 18, 2016 in Mesa, Arizona. Walter was educated in Bismarck, ND and then moved to Missoula MT. He attended high school and a business college in Billings, MT while also attaining his pilot’s license. During World War II, Walter served in the Army Air Corps as an AT-6 and B-25 pilot flight instructor. He taught Chinese pilots and also was an expert in short-field takeoffs as used in the Doolittle Raid. He was stationed in Sacramento, Phoenix, and Douglas, Arizona. Walter married Eleanor Weston in 1944 and they had two children Douglas and Janis. Subsequently Walter spent his entire business career based in Montana as an appliance salesman while traveling throughout Montana and Wyoming. He later bought into the White Refrigeration Corporation in Great Falls which he managed until his retirement. 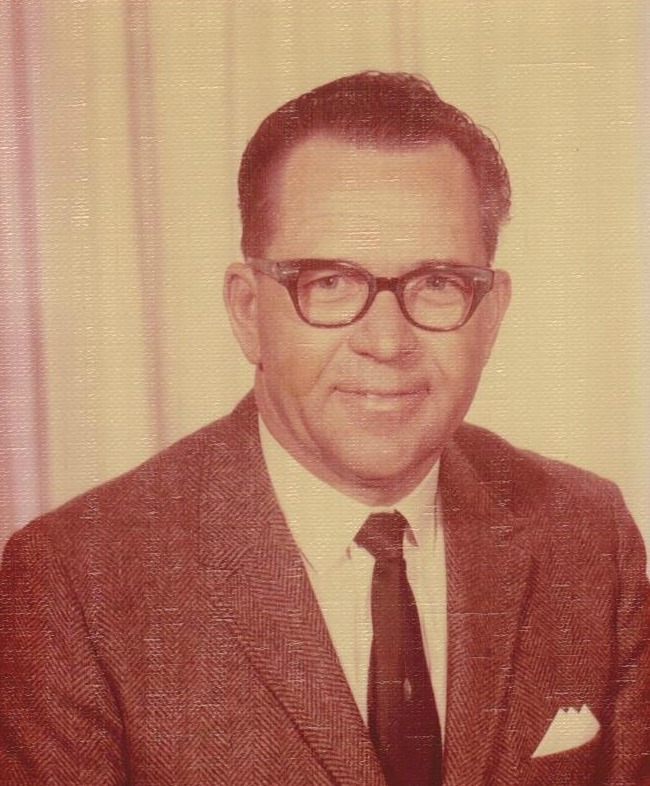 He was a devoted member of the First Presbyterian Church in Great Falls serving as an elder and also a member and officeholder of a number of charitable organizations such as the Elks, Lions, and Kiwanis Clubs. Through these organizations, he was committed in providing medically related appliances and procedures to the needy. In September of 1969 he married Marian Falkner and moved to Arizona. He is survived by his son and daughter, Douglas (Sharon) Larson and Janis (Charles) Hammond, their four grandchildren; Rier Larson, Kaare Larson, Aspen Ginnetti, and Erik Larson, and four great grandchildren. Walter was preceded in death by his wife Marian and Marian’s children Chuck Falkner, Marilyn Smith, and Doug Falkner and survived by Kathleen (Richard) Coleman, and five grandchildren; Randy Smith, Jodi Oglesby, James Tyler Falkner, Katie Worthen and Patrick Falkner. A memorial service will be held at 10:00 AM on Saturday June 11, 2016 at Southside Presbyterian Church, 317 W. 23rd St, Tucson, AZ 85713. The span of our life is 70 years, or 80 if one is especially strong (Psalms 90:10). My deepest condolences. We look forward to the blessings of God’s Kingdom on earth when our loved ones are resurrected (John 5:28).